The Indian Rupee (INR) is the official currency of India. 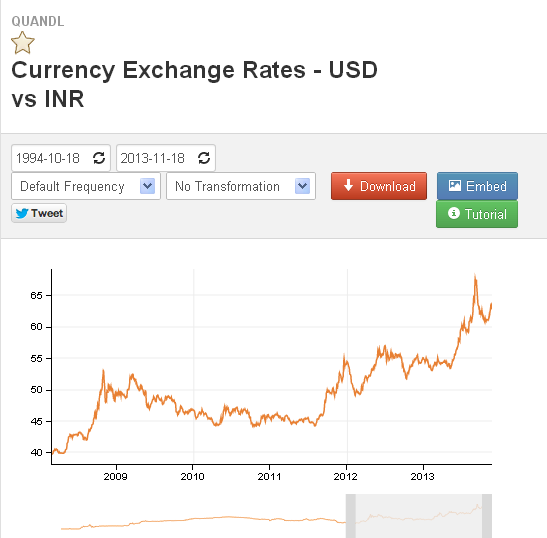 From Quandl you can download free USD/INR historical data back until 18 October 1994. Step3: Choose a format for downloading USD / INR data from the next window. So if you see an error message related to this when downloading USD / INR historical data, you should either register or wait another day.